Dr. Markus Hufnagel is a specialist in pediatric and adolescent medicine, infectious diseases, pediatric rheumatology, immunology, tropical medicine, travel medicine and vaccinology. 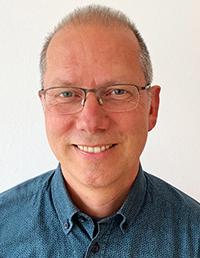 As Director of Pediatric Rheumatology and Deputy Director of Pediatric Infectious Diseases at the University Children's Hospital in Freiburg, Germany, Dr. Hufnagel is responsible for patient care and care management, medical teaching and medical research. Additionally, he provides medical consultations to refugees in Freiburg. His current research focuses on antibiotic usage and resistance, infections with gram-positive pathogens, and medical care of refugees. Active in numerous international projects, Dr. Hufnagel regularly collaborates with European and North American partners, as well as with several NGOs working in resource-poor countries. Fellowship Grant "Pediatric Infectious Diseases"
"Walter-Marget Vereinigung zur Förderung der Infektiologie"
BMC Pediatrics. 2019 Feb 26;19(1):66. Group B Streptococci: Declining Incidence in Infants in Germany. Pediatric Infectious Diseases Journal. 38:516-519. Recommendations for Diagnostics and Therapy of Children with Cancer Presenting with Fever and Neutropenia - Comparison of Two Current Guidelines. [Empfehlungen zur Diagnostik und Therapie bei krebskranken Kindern mit Fieber und Granulozytopenie - Vergleich zweier aktueller Leitlinien]. Klinische Pädiatrie. 2018 Mar 27 (ePub ahead of print). German. High rates of prescribing for prophylaxis in children and neonates: Results from the Antibiotic Resistance and Prescribing in European Children Point Prevalance Survey (ARPEC-PPS). Journal of the Pediatriatric Infectious Disease Society. 2018 Mar 23 (ePub ahead of print). Cystic encephalomalacia following vasculopathy and vasospasm of proximal intracranial arteries due to pneumococcal meningitis in a young infant. Neuropediatrics. 2018 Mar 9. (ePub ahead of print). Failure to predict high risk Kawasaki disease patients in a population-based study cohort in Germany. Pediatric Infectious Disease Journal. 37:850-855. Practice and consensus-based diagnostic strategies in diagnosing and managing systemic juvenile idiopathic arthritis in Germany. Pediatric Rheumatology Online Journal 16:7. An international SUrvey on non‑iNvaSive tecHniques to assess the mIcrocirculation in patients with RayNaud’s phEnomenon (SUNSHINE survey). Harmonization of diagnostics and therapy of systemic-onset juvenile idiopathic arthritis in Germany: Process description and key messages. [Harmonisierung der Diagnostik und Therapie der systemischen juvenilen idiopathischen Arthritis in Deutschland: Prozessbeschreibung und Kernaussagen]. Arthritis + Rheuma 37:250-259. German. Diffuse unilateral subacute neuroretinitis caused by Ancylostoma. Cardiac thrombus with risk of fulminant pulmonary embolism in pediatric antiphospholipid syndrome. Outcome and trends in treatment of newly diagnosed patients with systemic juvenile idiopathic Arthritis in the National Pediatric Rheumatological Database from 2000 to 2013. Selecting appropriate empirical antibiotic regimens for paediatric bloodstream infections: application of a Bayesian decision model to local and pooled antimicrobial resistance surveillance data. Journal of Antimicrobial Chemotherapy. 71:794-802. Importance of local epidemiology in prevalence and resistance of cystic fibrosis-related pathogens. Pediatric Infectious Diseases Journal. 35:229. Kawasaki disease in Germany: A prospective, population-based study adjusted for underreporting. Pediatric Infectious Diseases Journal. 35:129-134. Variation in paediatric hospital antibiotic guidelines in Europe. Archives of Disease in Childhood. 101:72-6. Genomic analysis reveals the molecular basis for capsule loss in the group B Streptococcus population. Antibiotic resistance prevalence in routine bloodstream isolates from children’s hospitals varies substantially from adult surveillance data in Europe. Pediatric Infectious Diseases Journal. 34:734-41. Systematic antifungal prescribing in neonates and children: Outcomes from the Antibiotic Resistance and Prescribing in European Children (ARPEC) study. Antimicrobial Agents and Chemotherapy. 59:782-789. Comparison of pre- and intrapartum screening of group B streptococci and adherence to screening guidelines: A cohort study. European Journal of Pediatrics. 174:827–835. Primary cutaneous cryptococcosis in an eight-year-old immunocompetent child: how to treat? Preparedness for admission of patients with suspected Ebola virus disease in European hospitals: a survey, August-September 2014. Acidic pH strongly enhances in vitro biofilm formation by a subset of hypervirulent ST-17 Streptococcus agalactiae strains. Applied and Environmental Microbiology. 80:2176-2185. Detection of opsonic antibodies against Enterococcus faecalis cell wall carbohydrates in immune globulin preparations. A young girl with familial Mediterranean fever and abdominal pain. Synchronous recurrence of group B streptococcal late-onset sepsis in twins. Lemierre syndrome associated with 12th cranial nerve palsy: A case report and review. International Journal of Pediatric Otorhinolaryngology. 77:1585-1588. European Journal of Clinical Microbiology and Infectious Diseases. 32:1221–1223. Klinische Pädiatrie 225; 93-95. German. Journal of Clinical Microbiology. 51(2):503-7. European Journal of Clinical Microbiology and Infectious Diseases, 32:609-611. New England Journal of Medicine. 366:1643-44, Author reply 1646-7. Primary erythromalalgia in a 12-year-old boy: Positive response to sodium channel blockers despite negative SCN9A mutations. Significant decline in the erythromycin resistance of group A streptococcus isolates at a German paediatric tertiary care centre. European Journal of Clinical Microbiology and Infectious Diseases. 31:707-710. Subtle differences in CTL cytotoxicity determine susceptibility to hemophagocytic lymphohistiocytosis in mice and humans with Chediak-Higashi syndrome. Genetic Differences Between Invasive and Noninvasive Neonatal Group B Streptococcal Isolate. International External Quality Assurance for Laboratory Diagnosis and Typing of Streptococcus agalactiae (group B streptococci). Orai1 is required for target cell-induced NK cell degranulation and cytokine production. Persistence of human bocavirus DNA in immunocompromised children. Revue Médicale Suisse, 6(248):956-9. French. Japanese Encephalitis: Defining Risk Incidence for Travelers to Endemic Countries and Vaccine Prescribing From the UK and Switzerland. Secular trends in pediatric bloodstream infections over a 20-year period at a tertiary care hospital in Germany. Enterococcal colonization of infants in a neonatal intensive care unit: Seasonal patterns and associated risk factors. Disseminated human bocavirus infection in a child following hematopoietic stem cell transplantation. Cernunnos, a novel nonhomologous end-joining factor, is mutated in human immunodeficiency with microcephaly. Neuroblastoma Stage 4S with 123I-MIBG-positive bone marrow involvement. Analysis of the specific immune response against capsular polysaccharides of two patients with systemic enterococcal infections. In vitro assessment of the host response against Enterococcus faecalis in probiotic preparations. Naturally acquired antibodies against four Enterococcus faecalis capsular polysaccharides in normal human sera. Serological and genetic diversity of capsular polysaccharides in Enterococcus faecalis. A putative sugar-binding transcriptional regulator in a novel gene locus in Enterococcus faecalis contributes to biofilm formation and prolonged bacteremia in mice. Opsonophagocytic assay as a potentially useful tool for assessing safety of Enterococcal preparation. Rapid molecular discrimination of infection with wild-type varicella zoster virus or varicella vaccine virus. A new LightCycler™ polymerase chain reaction for rapid and sensitive quantification of parvovirus B19 DNA guides therapeutic decision-making in chronic infections. Treatment of hyperinsulinemic hypoglycemia with nifedipine. Hemophagocytosis: a complication of acute Q fever in a child. Rational diagnostics and therapies in child refugees. Pediatric Infectious Disease Journal. 37:272-4. Antibiotic stewardship in pediatric and adolescent medicine. [Antibiotic Stewardship in der Kinder- und Jugendmedizin]. Deutsche Arzteblatt (On press). German. Readmission after pertussis infections (real-life questions and answers). Diagnosis and therapy of respiratory tract infections (without community-acquired pneumonia) in pediatric outpatients without severe underlying diseases. Steroid therapy and Kawasaki disease: Validity of current studies (Reader Forum). Respiratory tract infections in children: When are antibiotics indicated — and when not. Deutsches Ärzteblatt 113(21):; DOI: 10.3238/PersInfek.2016.05.27.04. German. Care of child refugees: Emphasis on diagnostics and prevention of infectious diseases. Notfall + Rettungsmedizin. 19:346-54. German. Antibiotic Stewardship in der Pädiatrie. [Antibiotic Stewardship in Pediatrics]. Kinder- und Jugendarzt. 47:212-20. German. Empfehlungen zur infektiologischen Versorgung von Flüchtlingen im Kindes- und Jugendalter in Deutschland: Stellungnahme der Deutschen Gesellschaft für Pädiatrische Infektiologie, der Gesellschaft für Tropenpädiatrie und Internationale Kindergesundheit und des Berufsverbandes der Kinder- und Jugendärzte. [Recommendations for the diagnosis and prevention of infectious diseases in pediatric and adolescent refugees in Germany: Statement of the German Society of Pediatric Infectious Diseases, the Society of Tropical Pediatrics and International Child Health, and the Professional Association of Pediatricians]. AWMF S2k guideline of the Germany Society for Pediatric Infectious Diseases (DGPI) and the Society of Pediatric Oncology and Hematology (GPOH). [AWMF S2k Leitlinie der Deutschen Gesellschaft für pädiatrische Infektiologie (DGPI) und Gesellschaft Pädiatrische Onkologie und Hämatologie (GPOH)]. Diagnostics and therapy in children with oncological underlying diseases, fever and granulocytopenia (febrile neutropenia), excluding children with allogenic stem cell transplantation. AWMF registration number 048/14, Version 23 Jan. 2016. German. AWMF S2k guidelines of the Germany Society for Pediatric Infectious Diseases (DGPI) and other German medical societies. [AWMF S2k Leitlinie der Deutschen Gesellschaft für pädiatrische Infektiologie (DGPI) und anderer deutscher medizinischer Gesellschaften]. AWMF registration number 024/25, Version December 2015. German. Versorgung von Flüchtlingen: Diagnostik und Prävention im Kindes- und Jugendalter. [Medical care of refugees: Diagnostics and prevention in children and adolescents]. Empfehlungen zur infektiologischen Versorgung von Flüchtlingen im Kindes- und Jugendalter in Deutschland. Stellungnahme der Deutschen Gesellschaft für Pädiatrische Infektiologie, der Gesellschaft für Tropenpädiatrie und Internationale Kindergesundheit und des Berufsverbandes der Kinder- und Jugendärzte. [Recommendations for the diagnosis and prevention of infectious diseases in pediatric and adolescent refugees in Germany. Statement of the German Society of Pediatric Infectious Diseases, the Society of Tropical Pediatrics and International Child Health, and the Professional Association of Pediatricians]. Ritz N, Hufnagel M, Gérardin P (2015). Pediatric Infectious Diseases Journal. 34:789-91. Arthritis + Rheuma. 33:317-322. German. Dengue fever in children: Where are we now? Pediatric Infectious Disease Journal. 32:1020-1022. Prevention of group B streptococcal neonatal disease revisited: The DEVANI European Project. European Journal of Clinical Microbiolology and Infectious Diseases. 31:20972104. Deutsche Medizinische Wochenschrift 135:1198-1200. German. Fortschritte der Neurologie-Psychiatrie 77(11):662-668. German. Kinder- und Jugendarzt. 40:300-11. German. Kinder- und Jugendmedizin, 8:88-92. German. Treatment and prevention of enterococcal infections – alternative and experimental approaches. Deutsche Medizinische Wochenschrift, 126:1125-1126. German. Chapter in "Pädiatrie Grundlagen und Praxis, [Pediatric Fundamentals and Practice]," eds. Hoffmann GF, Lentze MJ, Spranger J, Zepp F. Springer-Verlag Berlin, pp. 889-891. German. Chapter in "Pädiatrie Grundlagen und Praxis,[Pediatric Fundamentals and Practice]," eds. Hoffmann GF, Lentze MJ, Spranger J, Zepp F. Springer-Verlag Berlin, pp. 895-896. German. Chapter in "Pädiatrie Grundlagen und Praxis, [Pediatric Fundamentals and Practice]," eds. Hoffmann GF, Lentze MJ, Spranger J, Zepp F. Springer-Verlag Berlin, pp. 842-848. German. Chapter in "Pädiatrie Grundlagen und Praxis, [Pediatric Fundamentals and Practice]," eds. Hoffmann GF, Lentze MJ, Spranger J, Zepp F. Springer-Verlag Berlin, pp. 849-851. German. Chapter in "Pädiatrie Grundlagen und Praxis, [Pediatric Fundamentals and Practice]," eds. Hoffmann GF, Lentze MJ, Spranger J, Zepp F. Springer-Verlag Berlin, pp. 132-133. German. Chapter in “Handbuch Infektionen bei Kindern und Jugendlichen, [Handbook of Infectious Diseases in Children and Adolescents]”, ed. Deutsche Gesellschaft für Pädiatrische Infektiologie. Georg Thieme Verlag Stuttgart, pp 776-784. German. Chapter in “Handbuch Infektionen bei Kindern und Jugendlichen, [Handbook of Infectious Diseases in Children and Adolescents]”, ed. Deutsche Gesellschaft für Pädiatrische Infektiologie. Georg Thieme Verlag Stuttgart, pp 773-775. German. Chapter in “Handbuch Infektionen bei Kindern und Jugendlichen, [Handbook of Infectious Diseases in Children and Adolescents]”, ed. Deutsche Gesellschaft für Pädiatrische Infektiologie. Georg Thieme Verlag Stuttgart, pp 768-772. German. Chapter in “Handbuch Infektionen bei Kindern und Jugendlichen, [Handbook of Infectious Diseases in Children and Adolescents]”, ed. Deutsche Gesellschaft für Pädiatrische Infektiologie. Georg Thieme Verlag Stuttgart, pp 517-520. German. Chapter in “Handbuch Infektionen bei Kindern und Jugendlichen, [Handbook of Infectious Diseases in Children and Adolescents]”, ed. Deutsche Gesellschaft für Pädiatrische Infektiologie. Georg Thieme Verlag Stuttgart, pp 463-465. German. Chapter in "Handbuch Infektionen bei Kindern und Jugendlichen, [Handbook of Infectious Diseases in Children and Adolescents]," ed. Deutsche Gesellschaft für pädiatrische Infektiologie. Georg Thieme Verlag Stuttgart, pp. 369-371. German. Chapter in "Handbuch Infektionen bei Kindern und Jugendlichen, [Handbook of Infectious Diseases in Children and Adolescents]," ed. Deutsche Gesellschaft für pädiatrische Infektiologie. Georg Thieme Verlag Stuttgart, pp. 358-360. German. Chapter in “Handbuch Infektionen bei Kindern und Jugendlichen, [Handbook of Infectious Diseases in Children and Adolescents]”, ed. Deutsche Gesellschaft für Pädiatrische Infektiologie. Georg Thieme Verlag Stuttgart, pp 275-283. German. Chapter in “Handbuch Infektionen bei Kindern und Jugendlichen, [Handbook of Infectious Diseases in Children and Adolescents]”, ed. Deutsche Gesellschaft für Pädiatrische Infektiologie. Georg Thieme Verlag Stuttgart, pp 242-253. German. Chapter in “Handbuch Infektionen bei Kindern und Jugendlichen, [Handbook of Infectious Diseases in Children and Adolescents]”, ed. Deutsche Gesellschaft für Pädiatrische Infektiologie. Georg Thieme Verlag Stuttgart, pp 281-221. German. Chapter in “Handbuch Infektionen bei Kindern und Jugendlichen, [Handbook of Infectious Diseases in Children and Adolescents]”, ed. Deutsche Gesellschaft für Pädiatrische Infektiologie. Georg Thieme Verlag Stuttgart, pp 195-196. German. Chapter in “Handbuch Infektionen bei Kindern und Jugendlichen, [Handbook of Infectious Diseases in Children and Adolescents]”, ed. Deutsche Gesellschaft für Pädiatrische Infektiologie. Georg Thieme Verlag Stuttgart, pp 129-131. German. ed. Berner R. Uni-Med Science, 1:25-35. German.